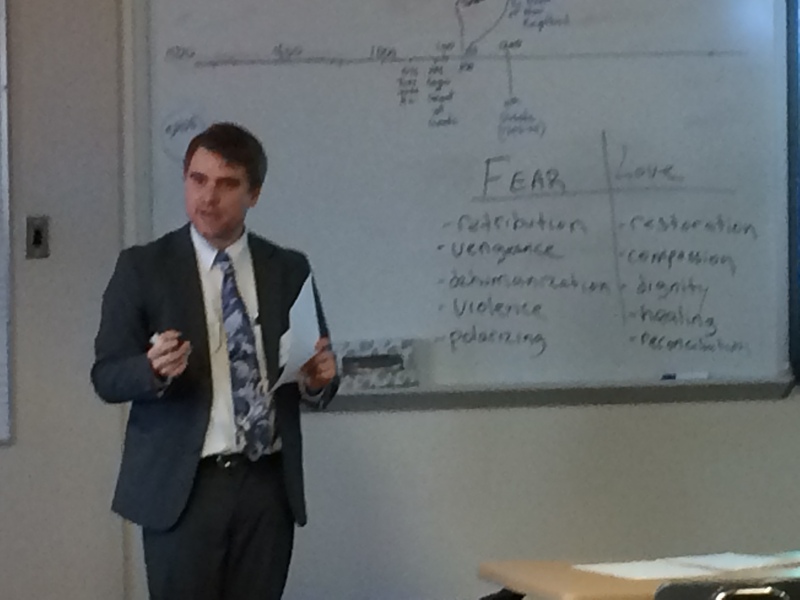 Kevin Heade presented three workshops, “Reflections on Capital Punishment ,” at Brophy’s Summit on Restorative Justice on March 5th. For information on Death Penalty Alternatives for Arizona events, please contact info@azdeathpenalty.org, or visit our Facebook or Twitter pages. Our recent event, Exonerated: Ray Krone, from Death Row to Free Man, was a great success. There was an overflow audience with more than 100 people, with more watching online. Ray Krone told a compelling story of police nabbing him for a murder he didn’t commit and two juries convicting him, primarily on bite mark science. DNA evidence led to his exoneration. Former juror Joe Hedgecock talked about the guilt of sending an innocent man to death row. You can watch the link online at any time by clicking here. This event was cosponsored by Death Penalty Alternatives for Arizona, the Arizona State University School of Criminology and Criminal Justice, the Arizona State University Sandra Day O’Connor School of Law, and the Justice Project. Exoneree Ray Krone and one of his jurors, Joe Hedgecock, who also is on DPAA’s Board, discussed the death penalty at Arizona Summit Law School on March 7, 2014. You can watch their presentation by following this link (the discussion begins about 18 minutes in). If you want to keep up with DPAA-sponsored events like this presentation, be sure to follow us on Facebook and Twitter, or you can visit our website at www.azdeathpenalty.org.